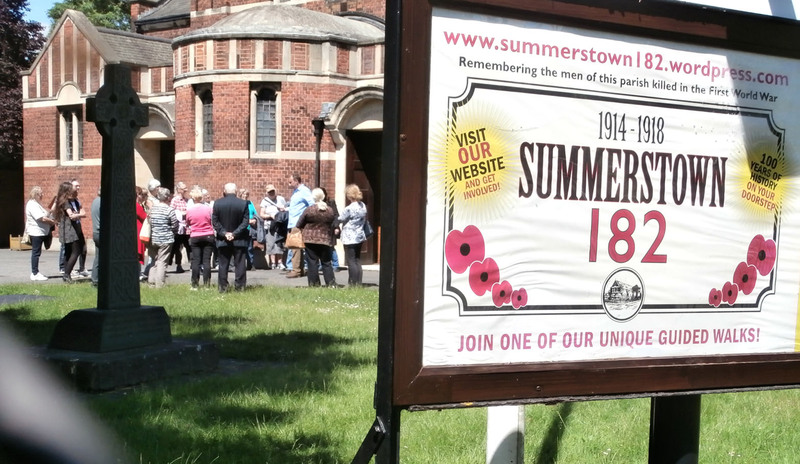 We will be reviving our popular Summerstown182 Walk on Saturday 11th November at 2pm with a very special Remembrance Walk starting from St Mary’s Church. As we pass the homes of the Summerstown182, we’ll be leaving a candle to be lit in their memory. The walk will finish in the Church with an opportunity to view the beautiful memorial. On this particular occasion the walk will take in aspects of both the Earlsfield and Tooting circuits. 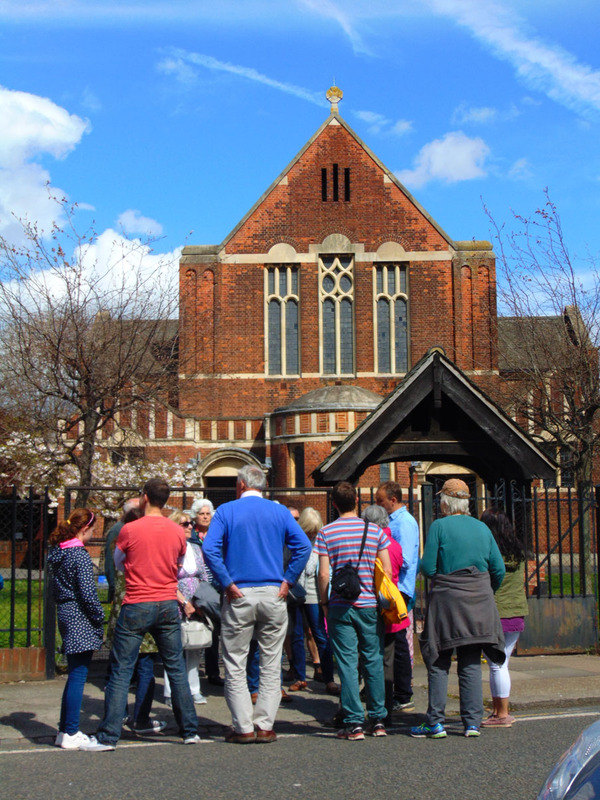 The Summerstown182 Guided Walk which we have initiated to promote this project start from St Mary’s Church in Keble Street and last approximately two hours. 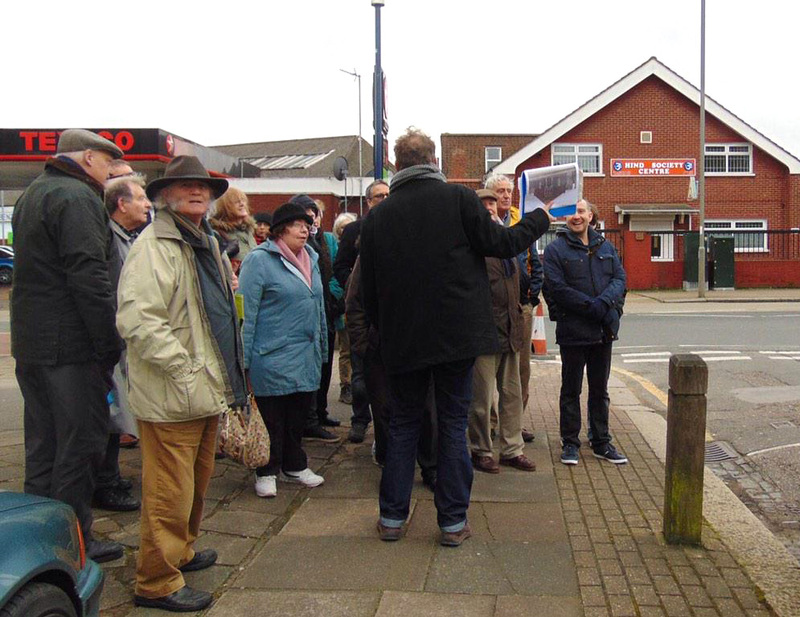 The Walks are a wonderful way to get a feel for this remarkable much-changed area and its history. Not only are they of interest to anyone living locally or new to the area but as an overview to anyone curious about the effects of the First World War on a community. Some of the people who have joined us were perhaps born or raised locally but haven’t visited for a long time. They are interested in learning about the areas their families came from and bring their own perspective to the stories we are gathering. 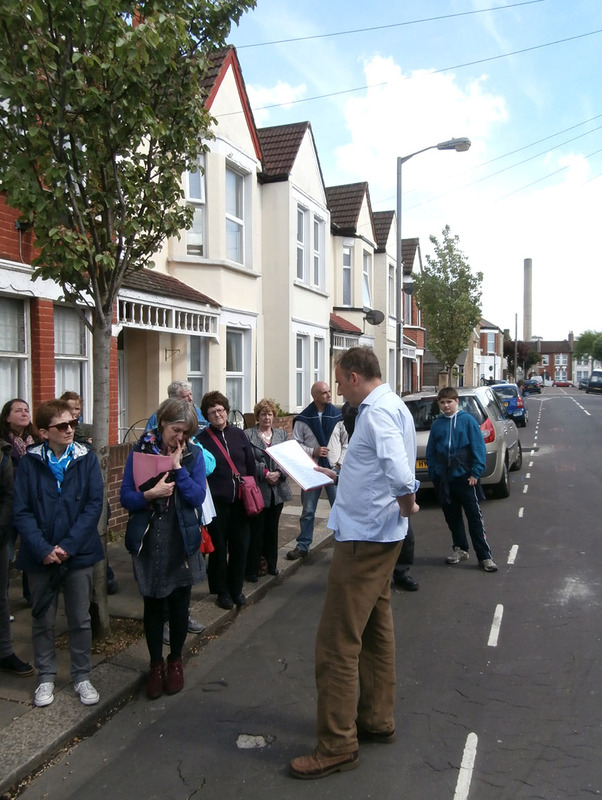 The walks take in some significant locations relative to the Summerstown182, as well as passing the homes of about sixty of their number. All were killed in the First World War and have their names engraved on the memorial in the church. We will pause outside a number of these houses to hear their stories and something about the community they came from. There is too much to see to do all of the walk in one day, so it is split into two parts, a north section (Earlsfield) which takes in the area roughly between the Anglo American Laundry and Wimbledon Stadium and a south section (Tooting) between Wimbledon Road and Fountain Road. All our regular local walks are roughly three kilometres in length. Don’t miss out – make sure you come on both! On the northern route we will go past the Garratt Lane home of William Clay, the man whose story started all this, turning into the quiet enclave of Huntspill Street where William Mace, one of the Sunday School Three lived. 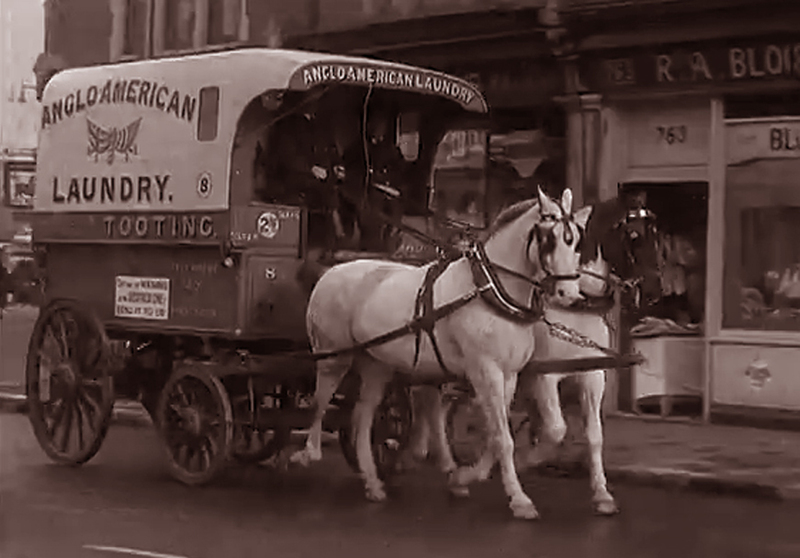 From Burmester Road we will pass the Anglo American Laundry where many of the Summerstown182 families worked. 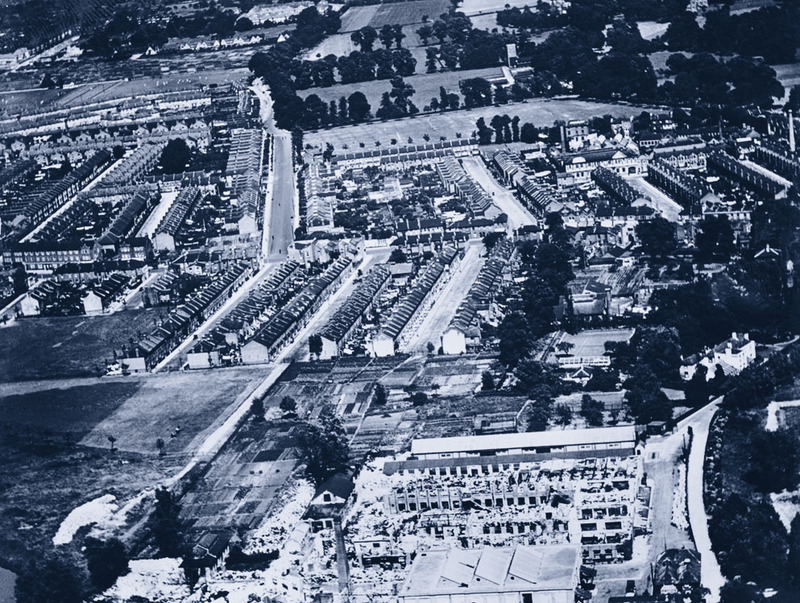 We will try to imagine what things were like a hundred years ago on the much-changed streets of Maskell Road and Summerstown, bordering Wimbledon Stadium. The southern route, also starting at the church, goes down Blackshaw Road, then turns into Smallwood Road and the densely-populated Fairlight area which a century ago, with its soup-kitchen and ‘Ragged School’ was one of the poorest parts of this neighbourhood. Alston Road takes us past the house of the heroic twenty year old stretcher-bearer who died in a German POW camp. Not far after this is the site of the old Sunday School and Wandsworth Council’s ‘Dust Destructor’. 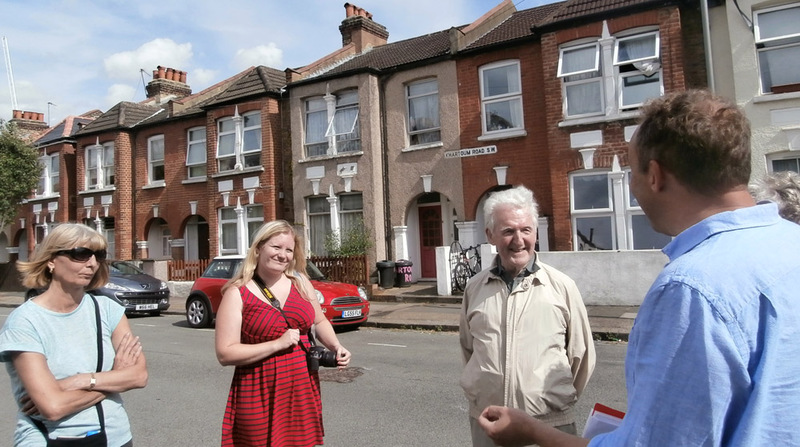 We will continue down Fountain Road past the house of Corporal Ted Foster, the Tooting dustman who was awarded the Victoria Cross. From Thurso Street we pass Smallwood School where at least forty of the Summerstown182 were educated. 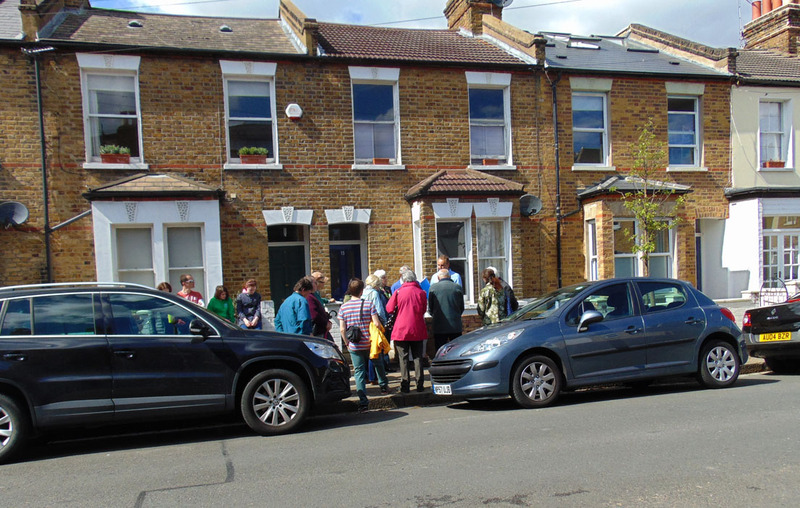 This leads us into Hazelhurst Road, the location of the homes of a number of the soldiers, which thirty years later, in November 1944 were destroyed in a V2 rocket attack which killed 35 people. Beneath Chillingford House was the home of the extraordinary George Nathaniel Daniell. We will complete both circuits in St Mary’s Church with a viewing of the war memorial. This is a constantly evolving walk which will develop as new stories and knowledge emerges. Whether you are new to the area or know these streets very well, we like to think that after going on one of these walks you will view them in a very different light. If you’ve done it once, do it again, because each walk is a little different as new knowledge is gained. And its not just about the 182, but the fascinating characters that populated their world; Peter Jung, the German baker, Mrs Creeke, the boss of the Anglo American Laundry, Francis Kitz the Summerstown anarchist, Sidney Lewis the boy soldier, Leonard Shepherd of Fairlight Hall and many more. Marc Bolan and Mick the Miller might have come a bit later but they both get a mention.